.NET Core and Entity Framework make connecting to an existing database really easy. This post will demonstrate how to generate models for an existing database using .NET Core Entity Framework. Note that you must have the .NET Core SDK installed. Now we’re ready to create our models. Again, we’ll do this by running a command in the terminal. Run the following command to generate models for all tables in your database along with a DbContext. Need help obtaining the connection string? 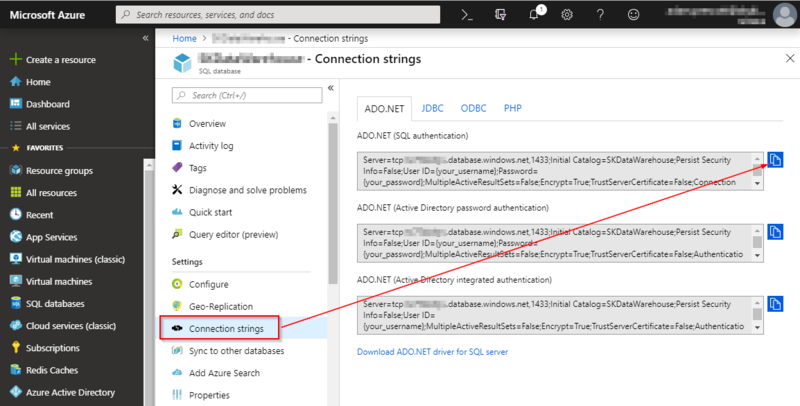 If you’re using SQL Azure, you can browse to the database in the Azure Portal, and click the Connection Strings link. Last week, I wrote a short article demonstrating how to create a React app using Create React App and hook it up to a .NET Core Web API created by dotnet new webapi. Dotnet new also has a react template, though, which allows you to create a new React app with .NET Core web API backend in a single step. There are some differences between the two approaches. Create React App creates a better-looking but more-barebones site. Dotnet new starts you with a more complex React site with basic navigation and multiple pages.